After completing pre-medical studies, Dr. Steelsmith entered the Doctoral program in naturopathic medicine at Bastyr University, America’s leading naturopathic medical school. Nationally recognized as one of the first U.S. medical schools to integrate alternative and Western medicine, in 1994 Bastyr University was awarded – over all other top U.S. medical schools, including Harvard, Columbia and UCLA – a prestigious federal grant by the National Institutes of Health to research alternative treatments for HIV/AIDS. Dr. Steelsmith received standard medical school training in the sciences, including all conventional methods of physical, clinical, and laboratory diagnosis. In addition, she studied in-depth a wide range of holistic and non-toxic approaches to therapeutics and disease prevention, completing four years of clinical nutrition, homeopathy, botanical medicine, physical medicine, and counseling. She also completed two years of clinical training in naturopathic therapeutics and preventive medicine in a primary care out-patient setting, and a two year residency. The difference between Dr. Steelsmith’s education and that of other conventionally-trained physicians is most extensive in the area of therapeutics, and reflects different philosophies of health and disease. Her training placed a much greater emphasis, for example, on the science of nutrition and the impact of nutrition on human health (she fulfilled 138 total credit hours of therapeutic nutritional sciences; conventional medical schools typically require none). At Bastyr University, Dr. Steelsmith also earned a Masters degree in acupuncture. She studied both traditional Chinese medicine and Five-element acupuncture, as well as Chinese herbal medicine and nutrition. 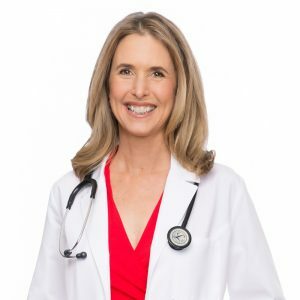 She is licensed by the state of Hawaii as both a naturopathic physician and an acupuncturist, and by the state of Washington as a naturopathic physician. In addition to the degrees she earned from Bastyr University, Dr. Steelsmith practiced as a licensed massage therapist in Washington state for eight years and was also an American Council on Exercise certified excerise instructor and aerobics teacher.